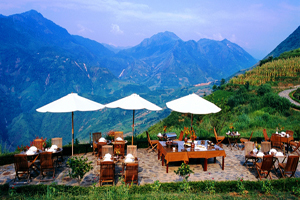 This adventure trip brings you to some of the most outstanding sceneries of Sapa and Lao Cai: visit 2 special markets o Bac Ha and Coc Ly then a boat trip on Chay River, visit 4 villages (Ban Pho, Su Pan, Ban Ho, Trung Do) and 8 different minorities (Tay, Black H’Mong, Flower H’Mong, Red Dao, Black Dzao, Dzay, Ha Nhi and Nung). 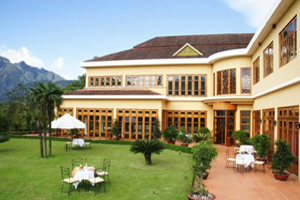 20.00 Pick up at your hotel then transfer to Hanoi Railway Station for the night train to Lao Cai. Overnight on train. Picked up at Lao cai Railway Station by car for Bac Ha market. the beginning of the day on which you visit a big market filled with many different hill-tribe peoples. This is the most colorful market in North Vietnam. At the market, you have chance to enjoy Bac Ha people’s simple but unique kinds of food with special wines made from rice, cassavas, corn and different sorts of fruits such as plumps, apples, peaches… talking to the minorities through the guide’s interpretation. Leave the market for the H’mong King’s house (King Hoang A Tuong) built by the French colonists and the Chinese in 1920. Return the town for lunch. 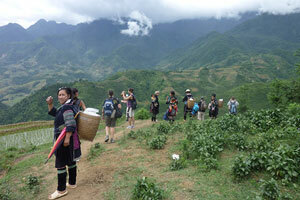 In the afternoon, spend time visiting another village (Ban Pho village) Say good bye to Bac Ha and get back to Sapa. On the way back, drop in to see the Vietnamese and Chinese Harbor Mouth in LaoCai. Reach Sapa late in the afternoon. Check in hotel. Car to Supan village and a short walk to Ban Ho village to visit the Tay ethnic people who have houses on stilts. Lunch at a local family. Back to Sapa. 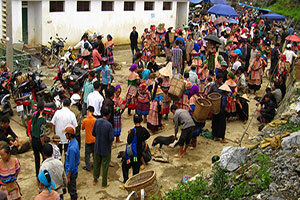 Leave from Sapa early at 7:00 AM for Coc Ly market which is situated far from Sapa. Enjoy the peaceful life of 6 different minority peoples (Flower H’mong, Black Dzao, Tay, Dzay, Ha Nhi and Nung). The market is the chance for the minorities to meet and share joy and sorrows after the crops, to exchange one another’s experience. Say goodbye to the market and get down onto a boat along Chay river. You are bound to feel great and find yourselves smaller among high rock mountains and to be surprised at white and breathtakingly waterfalls. The Fairy Cave is located deeply in the rocks. 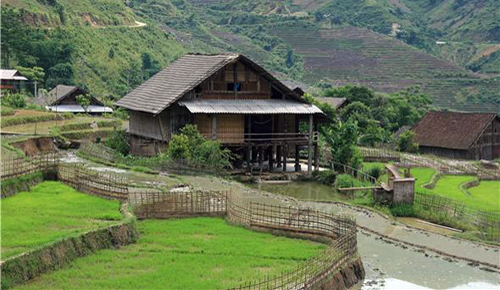 Get off the boat to visit a village of the Tay Minority (Trung Do village) by the river. After the boat trip, visit a small town – Bao Nhai and then take jeep back to Lao Cai Station for the night train to Hanoi. Have dinner before getting on the train. Arrive in Hanoi roughly 4:30 AM. End of services.